Immerse yourself in contemporary elegance at Monterey Marriott. Retreat into spacious hotel rooms and suites, beautifully appointed with deluxe amenities, high-speed Wi-Fi, Smart TVs with Netflix and striking views of the city and bay. Explore celebrated attractions, including Carmel-by-the-Sea, Cannery Row, Pebble Beach, Fisherman's Wharf, Big Sur, Carmel Valley and Historic Downtown Monterey. Enjoy versatile event space for weddings, meetings and social engagements. After a full day of business or leisure, sit down to a delectable menu of California cuisine at Fin + Field Restaurant and Bar. 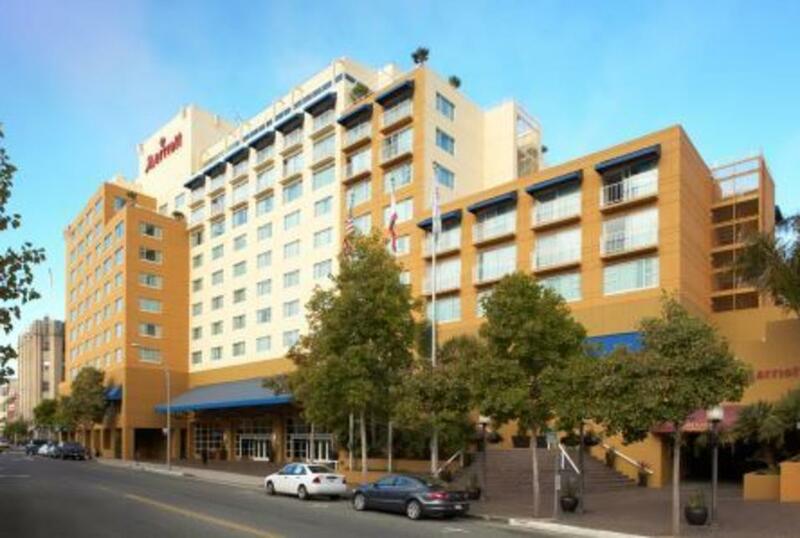 With a business center, valet parking and convenient downtown location across the street from the Conference Center, our hotel is a haven of relaxation near the very best of Monterey, CA.